Since the October rally ended, the SPX formed what looked like an “extended distribution phase” in the form of a rounding top. This is even more apparent on the Dow Jones Composite Index. Early June, it dropped below its 100-DMA, it slightly breached its December low, but rallied. A second attempt was made to break through which also failed. The rallies found resistance at the 100 MA and last week, a third attempt at breaking the bottom trend line also failed … or did it? With Greece’s default the Dow Jones index is completing its rounding top/descending triangle pattern by finally making a new low. A Monday morning opening gap to the downside could be the perfect way to end this formation. If so, this could be the beginning of the correction which has long been expected. 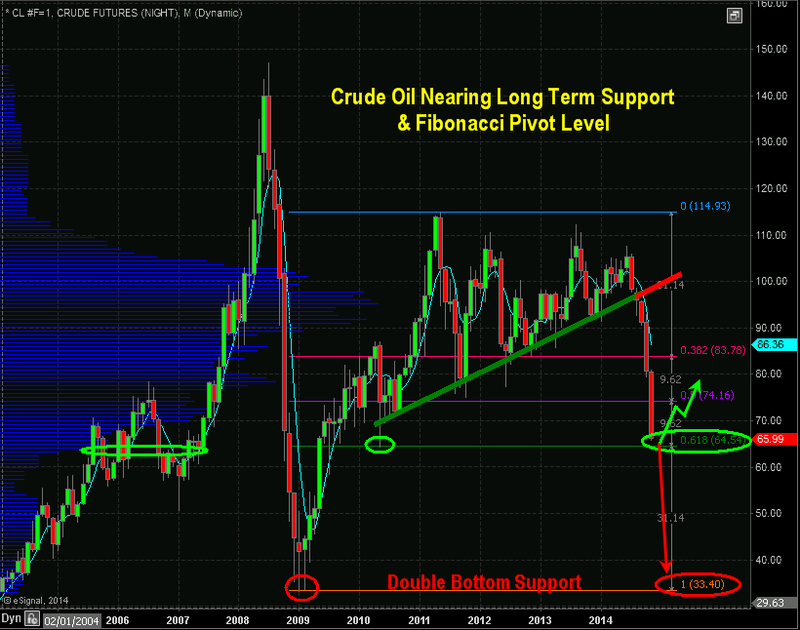 Intermediate trend – Waiting for confirmation that the ending diagonal is complete. Greece’s decision to hold a referendum on July 5 and not to accept the final offer made by its creditors resulted in a Greek debt default and is currently unsettling to markets. Should that be the case, SPX should follow suit by extending last week’s decline. This could be the end of the 7-year cycle we talked about, closing its grip on the market by applying pressure which is increasing gradually every week. USA markets will be closed on July 3. It will therefore be a shortened holiday week of trading. 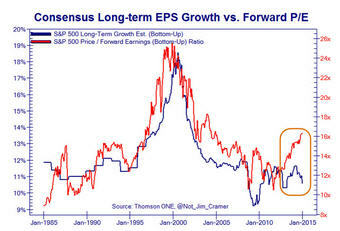 My current concern now is whether or not World equity markets will resume a 10% correction down or more. This period of a cycle that we work with has a very high historical correlation to 10% or greater reversals in the DJIA. The question is whether that decline has already started. We defer to our models for the confirmation of this move and any other future moves. Gold fell to a low of 1167.10 on Friday, June 26. . This may be important because Silver fell to a low of 15.45 on Friday, June 26, well below its low of the past three months. Something big may be in the works. It is ironic that the Greek debt default, the lack of a conclusion of the USA/Iran negotiations and The Supreme Court’s decision to uphold Obamacare subsidies of The Affordable Care Act are ALL historical events occurring at the same point in time is not a random act. This decision upholding the IRS rule giving all Americans access to premium tax credits, millions of Americans can breathe easier today knowing that there is access to health care. I believe that The Supreme Court validated President Obama’s massive power grab, allowing him to tax, borrow, and spend $700 billion that no Congress ever authorized. This establishes a precedent that could let any president modify, amend, or suspend any enacted law at his or her whim. President Obama has already creative secret deals that Americans are not yet aware of. I fear that these unchecked political power in the Executive branch will be misused again and again by the President. At this time, we are currently experiencing a new “socio-politically-economic” revolution. The passing of this Affordable Care Act (aka Obamacare will continue to bankrupt the county and many of the people in it. It is only affordable for some in terms of lower premiums. The other side of the coin is that deductibles are so high that many still cannot afford health care under this Act. For them, it is anything but affordable. The yield on the benchmark 10 year note closed last week at 2.26%. This week’s close was 23 bps higher at 2.49%. The 30 year bond yield closed the week at it 2015 high of 3.25%. Current financial market conditions with low levels of interest rates have resulted in negative yields for some Treasury securities trading in the secondary market. Negative yields for Treasury securities most often reflect technical factors in the Treasury markets related to cash and repurchase agreements markets and are at times unrelated to the time value of money. We had a confirmed signal to exit the ETF “TLT” on June 3, 2015 at 118.39. Today, its current prices 115.23, I am expecting this price to go lower. If this happens, a new order in global currencies will appear. This would attract new foreign capital. The rest of the world will view the Yuan as a real currency rather than a fiat currency. Creating the Yuan with a gold standard will surely make China more powerful and become a more influential world power. The United States Dollar will no longer be the only “Reserve Currency” in the World anymore. China will most likely become the world’s largest economy catapulting over the United States. They already have close ties to the world’s largest energy nation (Russia), and consumer based BRICS (acronym for the combined economies of Brazil, Russia, India, China, and South Africa). 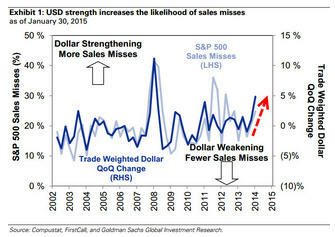 It is only a matter of time before a large portion of the world systematically rejects the Dollar. The world will seek stability in a much different type of financial construct. The BRICS nations have already started making alternatives to the World Bank, IMF, and the SWIFT system. We will be facing a hard choice: Either remain steadfast to the old regime or shift to the “New Paradigm.” In shifting to the “New Paradigm”, we will set up the Yuan as the next global reserve currency. Russia and China are in the works to create a new alternative to the long-standing SWIFT system. SWIFT stands for the Society for Worldwide Interbank Financial Telecommunications. It is a messaging network. Financial institutions use it to securely transmit information and instructions with a standardized system of codes. An alternative to SWIFT could end the US Dollar as the sole reserve currency in the global financial system. The Russians would then turn away from the SWIFT system and have a new alternative. They would thus avoid any serious economic sanctions now or in the future. Russia is expected to join forces with China and create their own “Union Pay”. The People’s Bank of China started “Union Pay” in 2002. It is now the second-largest payment networking system behind Visa. Union Pay is now preparing for a full-scale collaboration with Russia. RELATED: If You Have Money in a US Bank Account Be Aware! It has developed the foundation needed to be very successful in this venture. This would replace the SWIFT system. Then Russia and China could avoid any interference by a Western superpower imposing economic sanctions on them. To this end, they have decided to end the Dollar as the global reserve currency. They are now creating another choice everyone can pick and use as they like. I would call this a “Game Changer”. There will be two reserve currencies as Petro-Yuan joins Petro-Dollar. Over the next few years as debt, currencies and countries start to fall apart individuals will be looking to place their money where it will hold its value and buying power during times of extreme uncertainty. If you eliminate fiat currencies which are created out of this air and are nothing more than a credit we are left with precious metals and stones. As much as we have evolved over time, we could be valuing things like gold, silver, platinum, and precious stones more so than our currency. Let’s face it, currencies are swinging in value 20-50% regularly and while most people do not realize it their buying power often is not as strong as it was. Would you rather hold a large portion of your capital in say the EURO which is falling like a rock in value costing you thousands of dollars a month, or would gold and silver which rises in value as your currency falls be a smarter decision? 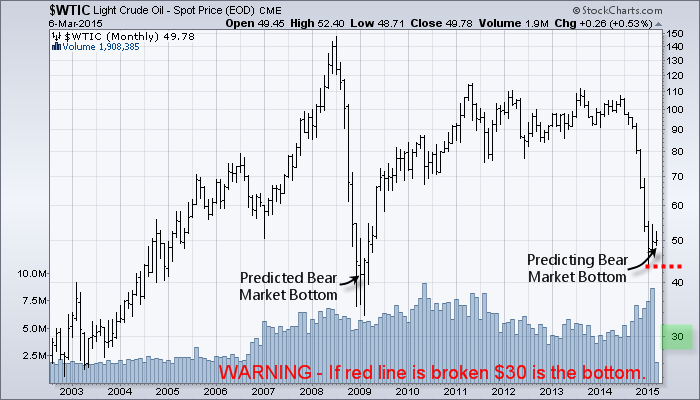 Do not get me wrong, I am not trying to be a doom and gloom analyst. And I hope to be wrong, but with so many things pointing to an extreme global change it only makes sense to add some protection in the event something drastic does happen. My new book explains how to protect your capital in detail. 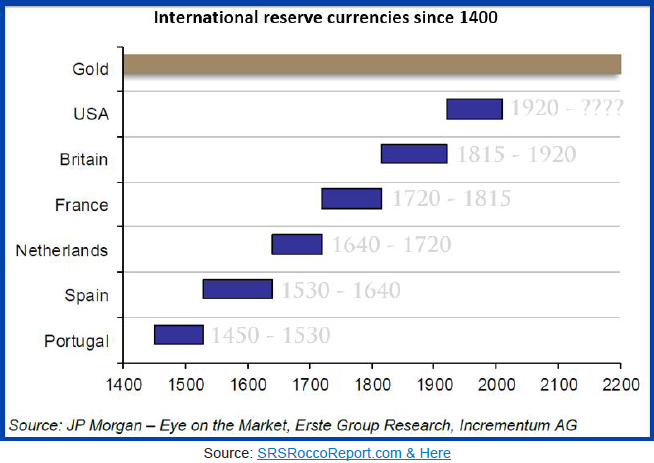 With the average fiat reserve currency since 1400 lasting between 80-105 years. With the dollar becoming the reserve currency in 1920 the odds point to the dollar being dropped within 3-5 years. 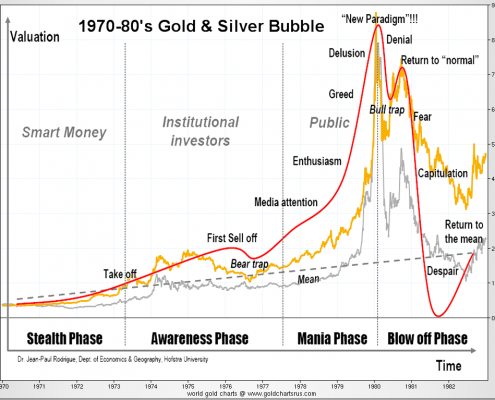 The chart below shows the price of gold, silver, the typical price bubble, and phased of the market which happens in all asset types at some point in their life cycle. The red line shows the average market participants emotional state. Yellow line is the price of gold, and the grey line in silver. 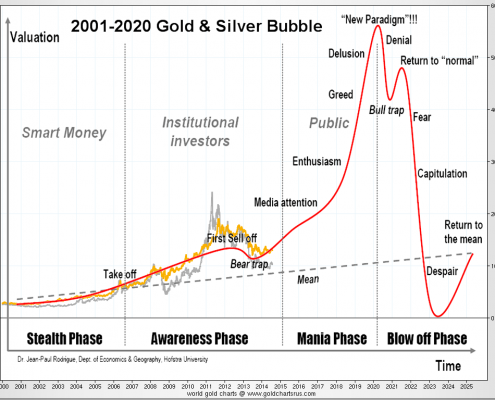 The last bull market in precious metals will be dwarfed by the next one which I expect to start later this year. Over the next 3-5 years currencies, metals, stock market, new policies in the USA, etc… are likely to change more than we ever thought possible. What does all this mean? It means money is going to move out of dying currencies and into physical assets like gold, and silver. 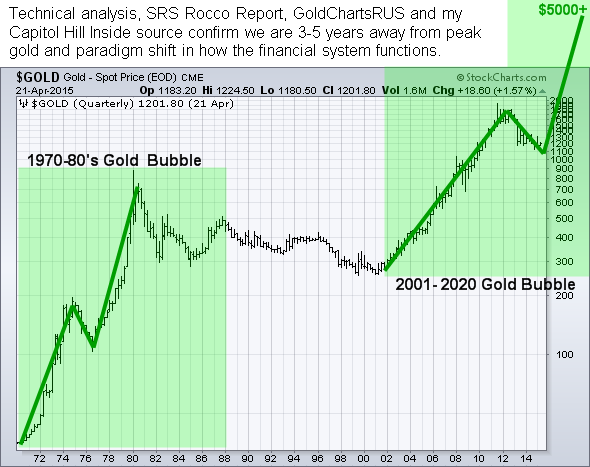 There are three different forecasting models for gold I have created. Depending how things play out in the next couple years the low target is $5,000 oz, and highest is $12,000 oz. Starting to accumulate physical gold and silver as a long term investment and as insurance for your portfolio is critical. Small denominations are best because when prices sky rocket it will be tough to sell/trade a $12,000 oz gold bar compared to a gram of gold that will be worth $450, or better yet an ounce of silver worth $150. 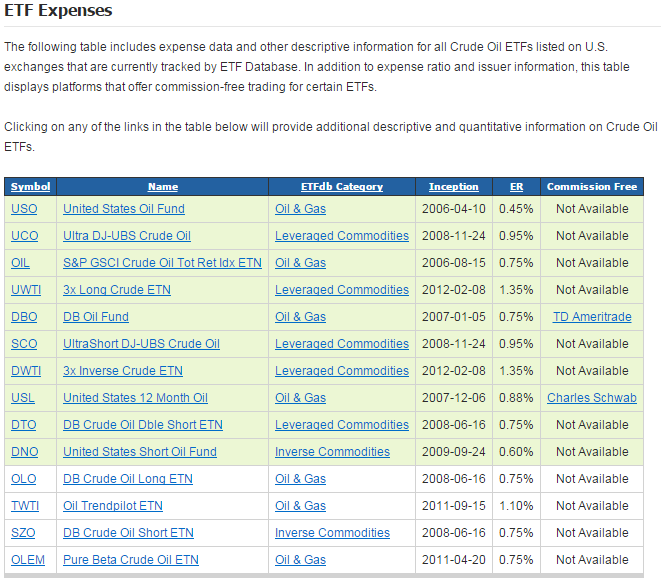 With that said my key focus is on trading for income and growth through the use of exchange traded funds. And if precious metals are about to start another bull market there will be big gains in gold stocks which I will be trading. The past year month has been flowing into risk on assets like US equities. And when money is flowing into one investment class there is typically an outflow in others. 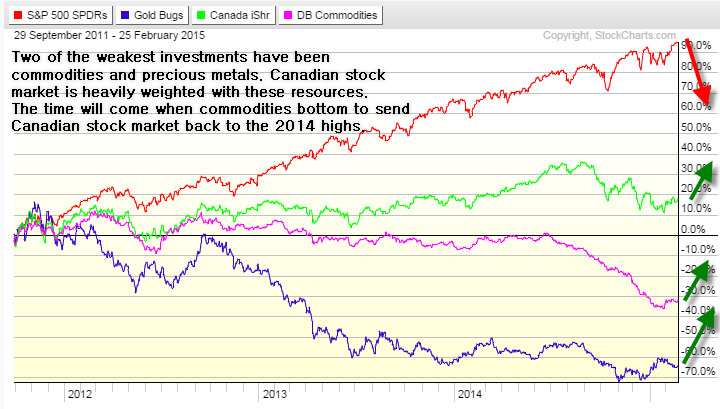 Commodities in general have been beaten up bad but there is some money to be made here using the livestock COW ETF. I is amazing how almost all us equity sectors have rallied as big as they have with many still making new sector highs. The only true weak areas in the market look to be commodities specifically precious metals, oil, natural gas, grains, sugar and livestock. When the US equities market starts to sell off and volatility rises money should start to flow into some of these underperforming areas. At the moment COW is the only one that looks ready for a bear market rally currently. Precious metals miners are another area I am looking to trade but I have not seen any signs why anyone should enter yet. The chart below shows my analysis and forecast going forward. Those who prefer trading spot gold via FOREX/CDF/Spread Betting and aren’t a U.S. resident like me can use a company like AVAFX. The nice thing about trading this way is that you can trade 24/7, you get a lot of leverage, and it’s commission-free trading. To Have A Cow Or Not? That Is The Question! 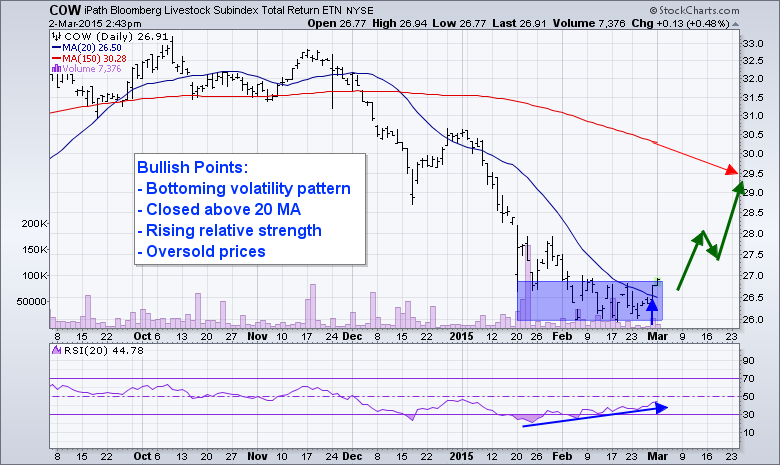 The COW ETF could be a choppy ride for a while, but the upward momentum looks to have started as of today. I am currently long COW with my peak target set around the $29 level. https://www.thegoldandoilguy.com/wp-content/uploads/2015/03/cowanimal.png 149 197 admin http://www.thegoldandoilguy.com/wp-content/uploads/2014/11/tgaoglogo.png admin2015-03-02 21:26:352015-03-02 21:26:35Investors Are About To Having A COW! Over the last couple of months I have started sharing some insights on the penny stock market. Those of you who follow me know I have been steering clear of the penny stock market since 2011. Back during bull market from 2009 – 2011 investing in these types of stocks was highly rewarding but I don’t touch them during bear markets. The second half of 2011 this pocket of the stock market collapsed and turned down. Unfortunately barely anyone watches this index so when it turned down in 2011 investors continued to hold onto their penny stocks and expected them to continue to rally with the broad market. But the rally never happened, or at least not yet. This index is down 72% which is a tough drawdown to hold and not be concerned with but the good news is that it may be coming to an end. 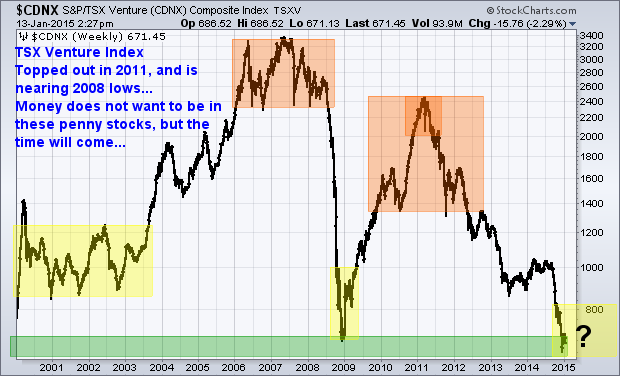 What has me intrigued is the fact that this index is testing its 2008 lows which is a great place for it to bottom. And why is this important you may be asking? Well, a rising index has the tendency to move 3 out of 4 stocks with it. And if you happen to fine which sector or hidden gem stocks have the most potential business growth you stand to make a lot of money. For example the biotech sector was dormant for nearly 10 years from 2001 to 2011. Biotech’s are up 370% on average since the 2011 low. And know that if a sector/index is up 370% you can bet there are a ton of stocks up 500%, 1000%, 4500% also. What are Borate and this Rare Element That I like? Borate is a chemical compound which uses the chemical element Boron. Boron is not a resource many people know and from my knowledge there are only two companies that produce it and they control roughly 80% of the market. Borates are used in 500 products including some of the fastest growing areas like borosilicate glass (LCD screens), ceramics and porcelain enamels, agriculture, insecticides, fire retardants, and high-tech products like lithium batteries, and even medicines. For example an iPad uses 9 grams of Boron in the special Corning glass. The price of Boron has rocketed higher in recent years with all the new uses it has. From 2009 to 2012 the price rallied from $250/t up over $700/ton. The two big players in Boron are publicly traded company Rio Tinto (NYSE: RIO) and Turkey’s state-owned Eti Maden AS. A position is Rio Tinto does not really give you much exposure as Boron is a small portion of the company’s overall revenue. The leaves only one other company, Erin Ventures (TSX Venture: EV). Its tiny, its a penny stock, but it has a ton of great things happening from what I have researched and from communication with their CFO. This little company is a 100% owner of a massive Boron rich properly in Serbia. The PEA reports show low mining costs, extremely high grade boron, enough material to last 21 years with a 15 month payback which is insanely fast… They expect to have $97,000,000 per year in revenue once the property is setup and running. I like the looks of the long term chart for Erin Ventures. The pattern overall is bullish but with the Toronto Venture Exchange having been in a bear market since 2011 it has pulled the share price down with it. When the venture stocks bottom which could be any time now, keep your eye on this company. Not very often you find a commodity that only has 1-2 companies in the world that control a substance. It’s almost a monopoly really. And with Erin Ventures being the only pure Boron stock which is 100% owner of a 21 year production deposit of higher grade Boron than the competitors I have to think this will be huge in due time. Erin Venture is about to close a round of funding with their private placement for shares in the company so they can start their Boron project in Serbia. If I recall correctly they are looking for all investors especially small ones as they want quality investors holding shares. If you want to be a part of this placement call: Blake Fallis 1-250-384-1999 is their CFO who can provide more info about the company and private placement if you are interested. Disclaimer: I do not own shares of Rio Tinto or Erin Ventures and I was not paid to mention them in my article. https://www.thegoldandoilguy.com/wp-content/uploads/2015/01/erin.png 312 700 admin http://www.thegoldandoilguy.com/wp-content/uploads/2014/11/tgaoglogo.png admin2015-01-15 20:54:212015-02-19 18:24:07Is Borate a Actor or Rare Earth Element Opportunity? If you have been paying close attention to the stock market, market internals/breadth, and bonds for the past three months, you’ve likely come to the same conclusion that I have. The US stock market is showing signs of severe weakness with the market breadth and leading indicators pointing to a sharp correction for stock prices. With fewer stocks trading above their 50 and 200 day moving averages each week, while the broad market S&P 500 index continues to rising, this bearish divergence is a red flag for long term investors. When a handful of large-cap stocks are the only things propelling the stock market higher while the majority of small-cap stocks are falling you should keep new position sizes smaller than normal and start moving your protective stops up to lock in gains/reduce losses in case the market rolls over sooner than later. Small cap stocks are typically a leading indicator of the broad market. The Russell 2000 index is what investors should keep a close eye on because it’s the index of small-cap stocks. Since March of this year, the Russell 2000 been trading sideways and actually making new lows. This tells us that big-money speculative traders are rotating out of the stock market and into other investments like high dividend paying stocks, blue chips, and likely bonds. 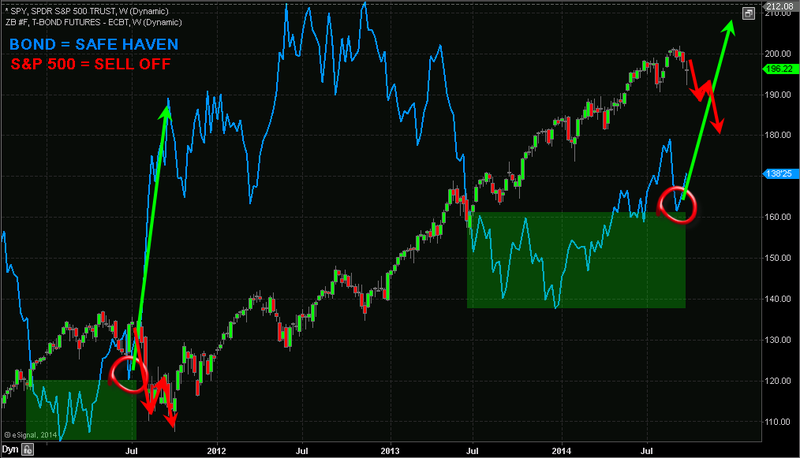 Looking at the chart below I have overlaid the S&P 500 index and the price of bonds. History has a way of repeating itself; although it may never feel the same and the economy may be different, price action of investments have the tendency to repeat. In 2011 we saw the stock market and bonds form specific patterns. 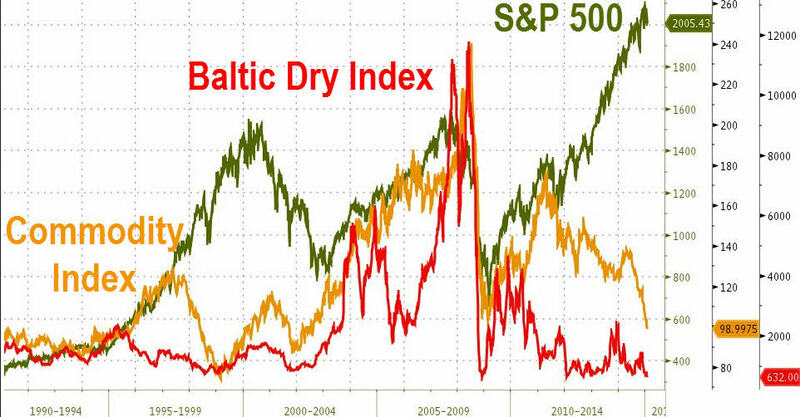 These patterns clearly show that money was rotating out of the stock market and into bonds. During times of uncertainty in the stocks market money has the tendency to move into bonds, as they are known as a safe haven. Bonds tend to reverse before the stock market does, so if you have never tracked the price chart of bonds before, then you should start. 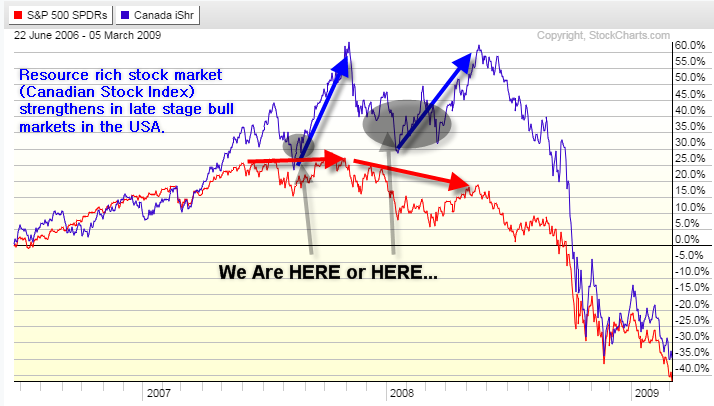 From late 2013 until now bonds and the stock market have repeated the same price patterns from 2011. If history is going to repeat itself, which the technical and statistical analysis is also favoring, we should see the stock market correct 18% to 30% in the near future. If this happens bonds will rally to new highs. It’s important to realize the chart above is weekly. Each candle represents five trading days, and four candles represents one month. So while this chart points to an imminent selloff from a visual standpoint, keep in mind this could take 2 to 3 months to unfold or longer. The market always has a way of dragging things out. If the market can’t shake you out, it will wait you out. So if you are short the market or planning to short the market be very cautious as it could be choppy for the next several weeks and possibly months before price truly breaks down and we see price freefall.